iTILT (http://itilt.eu/), aiming to promote good practice in using IWBS in language teaching. 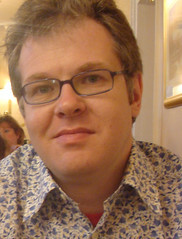 He was (until April 2013) joint co-ordinator of the IATEFL Learning Technologies SIG (http://ltsig.org.uk/) and is currently online events organiser for the IATEFL Young Learner and Teenagers SIG (https://www.yltsig.org/). Digital Play: Computer games and language aims with Kyle Mawer (Delta, 2011),winner of the British Council ELT Innovation award for teacher resources in 2012. Language Learning with Technology (CUP, 2013), winner of the English Speaking Union's HRH Duke of Edinburgh award for English Language book of the year. Er.. Graham, did you really post this comment in far-off 1970? Marvellous if true. More seriously, I'd like to look into ways of making my Rome EFL Blog look more attractive. I will get ideas from your and Nik Peachey's blogs. "Sur ce", I am off to bed. More soon! Yes, I did, Mike - haven't you heard of tie travel ? I teach English at Westminster International University in Tashkent. Just like you I also opened a blog for my students to interact with them outside the classroom. Reason why I am writing to you is that I wanted to know what kind of blog activities you do with your students. Also I opened another blog for teachers world-wide at www.globalcommunity2010.blogspot.com which did not go public yet. Please e-mail me directly at uzbekistan2104@rambler.ru or leave a comment on my blog. I am a TEFL teacher and I really enjoy reading your blog. in English communication through downloadable videos and support exercises. Our videos consist of authentic conversations with native English speakers covering a variety of interesting topics and aspects of spoken English. I created an easy-to-use tool to build read-a-long stories in Powerpoint (highlighted text with recorded voice or Google TTS). Is read-a-long considered good for ESL/EFL or only good for little children? Demo video at http://www.youtube.com/watch?v=QecKltYmBiY. I´d like to thank you for your comments on http://digitalimmersion.weebly.com/index.html. Saw your picture of the shirt that says "Lecture bored me to death" and I am trying to find the shirt. I love it. Any ideas? 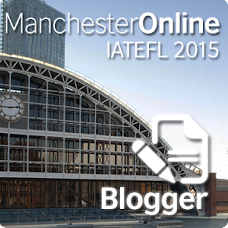 I really enjoyed your presentation at iatefl conference and shared some ideas on my blog. I work in the Marketing team of Texthelp, who recently launched English Hero (www.english-hero.com), software to help those learning english. I was wondering if you would be interested in reviewing our software for your blog? I'm almost sure you are the same GS who exchanged letters and things with a Russian Peter Hammill fan (me) in the 90s. I mean, PH... Spain... Soundbite... )) If so, I'm really glad to see you alive & well in the 21st century! Although we never met, I remember you very well :) and will always be very thankful to you for your kindness and generosity towards me. Pavel, indeed I am - I still have your letters too, believe it or not, and am very grateful for you introducing me to Nol and the other Russian rock bands you sent me records of. Hope you are well and it's great to hear from you. Hi Patricia, good to connect with you here.